Tue Apr 01 2003 12:38: Milquetoast April 1 non-joke: I'm trying out the smooth lines of Gary's new "Orangery" NewsBruiser theme. Thecodont Eryops in the limelight (may not actually be a thecodont; I always thought it was called a euryops but that's a plant) Update: It's an eryops. In Soviet Russia, spacesuits wear you! Tue Apr 01 2003 20:45: I put up my PyCon paper and the sample applications. I'll put up the slides tomorrow (they're on my laptop, which is at work). Tue Apr 01 2003 21:50: Sumana alerted me to a depressing comic called They'll Do It Every Time, which is the opposite of Keith Knight's "Life's Little Victories" comics. It's been going since 1928, and style-wise it is currently stuck in the 1950s (my guess is that it's catering to the childhood memories of its oldest group of non-senile fans). There must be hundreds of syndicated comic strips like this that I've never heard of. Maybe at some point there are no papers carrying the script, but the contract stays in place and so the artist toils away forever, doing a one-panel daily visible only on the syndicate's website, lost to the winds of time after thirty days. Wow, I think I got Kris' nightmare by mistake. Wed Apr 02 2003 14:07 New From Crummy-Life Records: I'm working on an album of tributes to the lawgivers of antiquity. So far I've got "Solon, It's Been Good To Know You", and "Stop! Hammurabi Time!" Wed Apr 02 2003 16:49 100% Pure Adrenaline! : Here are my PyCon slides. Wed Apr 02 2003 19:50 BACK OFF, I'M INCONSISTENT: By some strange coincidence I saw the I'VE GOT FIRESTONES truck today. Two things: first, there's no American flag painted on the passenger side door. Second, it doesn't have Firestones. It has oversized Goodrich tires. Thu Apr 03 2003 09:08: It is colossal squid! Fri Apr 04 2003 09:45 Divine Intervention: The movie is basically a collection of little skits bound together by incredibly boring filler. The skits are either low-key psychological humor or over-the-top manic anger and violence. Two of the skits (the balloon skit and the tank skit) are hilarious. The rest span the spectrum of not-hilarious funniness, most of them being moderately funny. The pacing is off on those skits near the beginning, in which the same scene is repeated numerous times. There's also a weird Palestinian-nationalist fantasy sequence near the end which turned me off. The filler, as previously mentioned, is boring. The trailer is much snappier and has almost everything that's really funny in the movie, except for the license plate skit and the tank skit, and the fact that the balloon skit goes on and on with James Bond music playing the whole time. My recommendation: just watch the trailer. It's great. Fri Apr 04 2003 11:00: Easibox looks to replace the little shell script I have written to tar up NewsBruiser releases. I'll have to hack it to pregenerate the template for the release message, though. 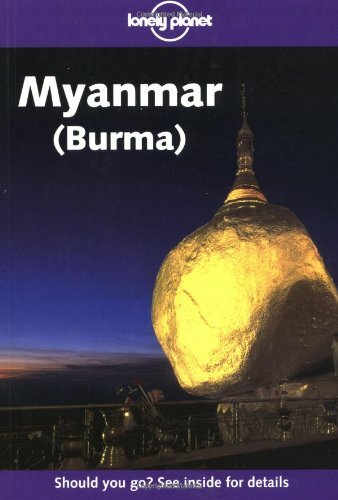 Fri Apr 04 2003 15:54: Sumana told me that whereas most Lonely Planet guides to foreign countries have a teaser on the front cover saying something quaint like "The city of high spirits and high art" or "Where ancient history meets modern metropolis", the teaser for the Lonely Planet guide to Myanmar says "Should you go? See page 1". Possible alternative teaser: "Have you considered Kazakhstan instead?" Sat Apr 05 2003 21:52 Two Great Tastes Dept. : Lucene got ported to Python. Chop them up and put them in the saucepan. Grate the cheese! The pasta is done! Drain it. Add a splash of vinegar to the pasta sauce and cook a little more. Serve the pasta with the sauce and cheese. Halfway through eating it, decide that it needs some basil. Add the basil. Enjoy the remaining portion. Sun Apr 06 2003 19:07 You've Never Bruised News Like This: Working on the final push towards getting rid of the manual-configuration setup step in NewsBruiser. You can now (in CVS) add, delete, and reorder notebooks through the NewsBruiser interface. I have to rewrite the documentation and add application cues for new users, but the heavy lifting is done. They said I was mad! And, frankly, I was mad. But that's neither here nor there. Sun Apr 06 2003 20:42 Terror Of Origadzilla: Rawr! Agar is a C library for writing pseudo-RPG games. Written for the in-progress game Trek To The Cave (motto: "Okay, we'll make the links visible, but that's it."). Nethack-el lets you play Nethack from within Emacs. As always, it's not an actual port of Nethack to Emacs, but it does patch Nethack so that it can display the Nethack messages, etc. in different Emacs windows. Bankiz is a multiplayer top-level fighting game in which your penguin kills other penguins with sundry weapons. This demonstrates my theory that in the absence of natural predators, penguins will develop ways of killing each other. The life bar on top of your penguin makes it look like the penguin is toting around a girder or something on its head. Genuts Cheese Indigestion Puzzle wins the silly name prize for this roundup, and also the triviality prize: the puzzles are all really easy. However, that mouse is indeed going to have some serious indigestion, and kudos to the game for recognizing that fact in the title. What if Pacman was like this? What if Pacman was one of us? DIE is "deathmatch with cars". I think this makes obvious the problem with every previous deathmatch game: you are not a car. This could be the first game with a "crush a mountain of Japanese steel" mode (of course, someone would have to write it, but that's never before stopped me proposing ridiculous modes). "Pseudo-RPG": TwenCen Leonard/Andy term for computer games which have the trappings of traditional tabletop RPGs yet which are not actually RPGs. They're usually just tactical games. Not that there's anything wrong with that! There's no reason you couldn't implement an actual RPG in Agar, except for the inherent difficulty of doing role-playing with a software DM. Obvious nomenclature for this sort of stupid fake future slang, which I came up with last week while reading David Brin's Earth: "Newslang". Sun Apr 06 2003 22:48: Tim "Caps Lock" May writes in to tell me that the creature mentioned here is an eryops, not a thecodont or a euryops. Eryops wasn't a thecodont, but a labyrinthodontid amphibian. Thecodonts, I gather, were reptiles. Why did I think it was a euryops? Because of Trans-kingdom Speciation Through Typo Codon Insertion. Mon Apr 07 2003 09:29 Software Roundup: Hm, maybe I should split out the programming-related software into a "Software Software Roundup", since that's most of the interesting software I'm finding nowadays. On the other hand, why not jumble everything together? Xrmap lets you view and zoom in on a hugely detailed vector map of the world as you cackle maniacally like a B-movie villain. Changelog includes the phrase "Xrmap no longer complains if the CIA_WDB2.jpd vector data are not found." Sunclock, by the same author, gives an interface to various other maps of the world. Both very cool. Process Change Detection System watches for new processes on your machine. Continuing the "useful thing ported to Python" trend, cracklib has been ported to Python. Albumshaper, one of the myriad of photo album software packages. I'm putting it here because I should at least *try* other photo album software packages before deciding that I don't understand them and writing my own. DPROG is a German industrial band, and also a language which generates C++ implementations of algorithms using dynamic programming (Dynamic Programming: The Coolest Thing Ever™). SCons is a build system written in Python. CVSTrac is a bug tracker that lives on top of CVS. netrick is a colorful text-based Web browser that features partial ECMAScript support. They said it shouldn't be done! This is not really a problem with Dia. It's a problem with having to drag boxes aroud. Mon Apr 07 2003 23:29 Our Long National Nightmare Has Reached Intermission: Woohoo, now every part of NewsBruiser setup except actually unzipping the tarball and making sure the webserver can write to the directory is web-based. Gotta test it and rewrite the docs, and then it's time for a release to beat all previous releases. I fully believe that flowers spring from concrete wherever you walk. It totally works! Tue Apr 08 2003 20:57 A Small, Friendly Jackal: Hi, I am Hong Kong Tom. Have you seen the first and latest evolution of NewsBruiser that made in Hong Kong? You can also benefit by making extra income . Wed Apr 09 2003 22:21 Most. Ambiguous. Headline. Ever. Watch: I think the MTV News website has one guy who writes all the headlines, because all the headlines are similar in form and impossible to decipher unless you already know about the hot stars of the moment. I am abysmally ignorant of the hot stars of the moment, so I found the headline I saw today, "Lloyd Banks Ready To Make His Classic; Recalls Liver Shot, 50 At #1", a masterpiece of unexplained jargon and abbreviations. It brightened my whole day, thinking of things that headline could mean. Thu Apr 10 2003 19:02 Naming Brand Names: The bar shampoo I mentioned a while back is called J.R. Liggett's Old-Fashioned Bar Shampoo. I don't know if it's actually old-fashined. They have an "herbal formula" which smells weird and is disturbing, but the original formula is excellent. Thu Apr 10 2003 20:35: I put up 77 pictures from the CollabNet retreat back in February. The retreat was held in the lovely Marin mountains by the ocean, near old WWII Japanese-spotting bunkers and an old Nike missile site. Hence the dual themes of nature and old concrete. Kevin curses the sun, which vows revenge. A nice little valley with an inlet to the ocean. Kevin and I spent much of our daytime free time trying make it to the bunker on top of the hill. This is as close as we got (we didn't have a whole lot of free time). A splendid sunset. Kind of showy if you ask me. I call this island "Sleeping Walrus Island". We kept a close eye on San Francisco. Kevin was bold enough to brave the entrance to hell. Here's Kevin in hell, which turns out to be pretty much as depicted in the old DOS game Doom. We also found hell's loading dock. Here I am in my tacky shirt at the loading dock. The food was generally pretty good. Another sunset picture to keep you on your toes. At one point the trail just stopped, due to having been washed away in a mudslide or something. Kevin and I collaborated on this daring depiction of the drop, a picture which makes it look like there is no drop whatsoever. Is it something about my camera? Every time I take a picture of a precarious drop, the resulting picture makes the drop look not that precarious at all. Fri Apr 11 2003 20:05: I'm working on a wrapup of PyCon. In the meantime, here's a picture of me giving my talk. No, I don't actually think one picture of me can hold you off for long enough to finish my wrapup. I believe I saw those strata on a geology class field trip when I took geology at DeAnza. What's scary is there are more of them in the ocean, which only show at low tide. They make a dangerous reef if you were a Spanish galleon. Sat Apr 12 2003 20:16 CrummyTone News Presents: The March Of PyCon: My PyCon report is up. It's got notes on all the talks I attended, a lot of links to useful software (it's basically a very verbose and Python-specific Software Roundup), and random ramblings about Washington D.C. I have a feeling that the cause is that your camera has a very wide depth of field. If the stuff beyond the drop were out of focus, and the precipice itself in focus, then the precarioutiveness might thus be captured. We're simple folk 'round these parts. We just point and shoot. Sometimes we zoom. Mon Apr 14 2003 18:53: I don't think I mentioned before that Jason Robbins left CollabNet to go back to teaching at UC Irvine. We were all very saddened by this development, and to get through the grieving process we (mainly stack) turned Jason's desk into a shrine. It had various Jason paraphenalia like the bag of potato chips he never opened, some notes for a presentation, etc. It lasted about two days. Some call Jason the patron saint of UML users. I think that rather than being the patron saint of any particular thing, he should be canonized as the PatronSaint design pattern itself. Mon Apr 14 2003 18:57: Incidentally, the best image gallery program is Curator. It's in Python and it has no dependencies but ImageMagick. It doesn't do exactly what I want, but it's past the critical point where it's easier to hack it than to write my own script. Eventually my picture galleries will be driven by Curator, but other stuff takes precedence (like getting up the England pictures). Mon Apr 14 2003 20:17: I put up 51 miscellaneous pictures from England. I've got 550 more to put up. This set contains both my favorite London picture ever and the most stereotypical London picture ever. It also has my completely unsuccessful attempt at recreating from memory the cover of the Dover edition of The Ball and the Cross. The reason your precarious picture doesn't look precarious is perhaps a lack of context: you know that the drop is steep, but there is no non-steep stuff in the shot. If you had got the horizon in there it might have looked more precipitous. Incidentally this is why everyone who stands at the bottom of a building and takes a shot up at it is disappointed with the lack of looming in the final image. You need some context. Someone get this man a cable talk show! Tue Apr 15 2003 19:07 Hey, Kris: "Pie Dome, it's the Pie Dome..."
Wed Apr 16 2003 16:04 World Famous Leonard: Mentioned in Linux Journal! Thu Apr 17 2003 08:33: Why is a cross between a grapefruit and a tangerine called a tangelo? Because the grapefruit is a cross between an orange and something called a pomelo. I've never had a pomelo, but it must be just about the most citric acid-laden fruit in the world if you cross it with an orange and get a grapefruit, and then cross it with a tangerine and get a tangelo. I call it "The Supermajority". Fri Apr 18 2003 13:48 World Famous NewsBruiser #2: I don't mention the silly animal-themed codenames I give to NewsBruiser releases in the Freshmeat announcements, both out of my general neurotic distaste for tall poppy self-promotion (notice how the 'get NYCB via email' box is way at the bottom of Crummy's front page, and how NewsBruiser didn't even have a Freshmeat entry for the first four years of its existence) and because I had a vague feeling that the Freshmeat team would just edit out such frivolity. My vague feeling was vaguely justified with the most recent NewsBruiser release, as the Freshmeat team changed "round out the release" at the end of my announcement to the blander "were also added in this release." Perhaps it was merely an attempt to rid Freshmeat announcements of cliches; but then why stop at the announcements? Why not reject entire software packages for being cliched? Actually, I am kidding. Before my initial NewsBruiser submission was approved, I was interrogated by the Freshmeat admins as to what was so great about NewsBruiser that they should put up another pointer to a weblog program. I think this is a good idea, and I think Freshmeat's reputation for being a repository of pointers to useless, unfinished software is mainly because they don't want to go back and deal with all the packages they added in pre-interrogation days. I check the new packages on Freshmeat every couple weeks for Software Roundup, and even the stuff I'm not interested in is pretty original. Compare SourceForge, which doesn't even care. "Fellas, we've got some new Joes just out of boot camp. I'd like you to give a big G.I. Joe welcome to Blowtorch, who'll be heading up our pyrotechnics efforts. "Also new to our team is Cross Hair, an expert sniper. He'll be working on disabling the COBRA network of spy satellites. "And this is Private First Class Jimmy Hightower. He's eleven feet tall, and he speaks Navajo." Sat Apr 19 2003 10:26 Software Roundup Roundup: People come up to me on the street and start to say something but before they can I say "Stop, person coming up to me on the street! How can we go on like this? You, asking me ludicrous and far-fetched questions. Me, using it as a segue into a News You Can Bruise entry. When will it end? Let's break the cycle. Instead of answering your question. I will tell you about some software directories I've found online." Freshmeat is the one that everyone knows about, and the main source of my entries for Software Roundup. I have filters set up to show me new applications, and I clear out the list every couple of weeks. I'm not sure why other people don't do this; it's interesting and easy material for your weblog. The Linux Game Tome provides supplemental material for Game Roundup. The aforementioned FSF/UNESCO Free Software Directory is practically useless for Software Roundup purposes, but since AFAIK a third party has to deem a package "useful" to get it included, the average package is of higher quality than elsewhere. Sweetcode updates very rarely, and if you check Freshmeat you can usually find the programs before they get to Sweetcode, but because every Sweetcode program is unique or innovative in some way, it's a great place to browse. O'Reilly's Open Source Directory is the runner-up. It is aggravating (but not particularly difficult) to navigate for Software Roundup purposes, and it has few applications listed. Scapy is a Python tool for packet manipulation. drumpiler is a drum machine program with a little mini-language that includes functions. Sure beats writing a Perl script to generate Csound, like I did for Annoying Techno Music. emo2html is a script that turns a file generated in Emacs outline mode into HTML. Actually, here's otl2html, which is in Python, which trumps Perl. Wheel 'O Yum [sic] is an elaborate scheme to make it easier to decide at which nearby restaurant to eat, yet it merely solves the problem of negotiating between persons; individual people are still supposed to vote for their preference, and what if they can't decide? Argh! Brainfucker, a compiler for brainfuck. Transforms to assembler, C++, or an executable, all in <3k. Simple Blog System is written in PHP. It has a cool theme which I might ask to copy. darcs is one of those experimental version control systems (written in Haskell!). monotone is another experimental version control system which is probably the closest I'll ever get to "Napster As A Version Control System"; rather than keep the code in a central repository, everyone keeps their own copy of the code and decides from whom they'll accept patches. Kodos, which was recently reviewed in LWN, is an interactive tool for defining regular expressions. Because Python uses basically the same regular expression syntax as everything else, it's not Python-specific, but unless you're into Python it's unlikely you'll put up with installing all the software on which Kodos depends. TinyTools is a bunch of handy add-ons for Emacs. Capon is another Python build system. Okay, Python is the best for build systems! It's the best for everything! You win! Torment me no more, spirit! simplisite is one of those programs for generating a static HTML website with a consistent look and feel. I should start using something like this instead of the horrible Noodle-esque thing I currently use. Zinc is an IF interpreter front-end (it does both TADS and Z-code) with network support, so that people can connect across the network to collaborate on a game. There's a new Celestia, which now comes with a user's guide. Langband is an Angband clone written in Lisp, which aims to contain existing and new Angband variants as plugins (what has happened to the good old technique of just cramming every single feature into the same game?). The Langband logo also demonstrates the debilitating effect on Roman discipline of imported Greek culture. Sat Apr 19 2003 22:39 Sci-Fi Cliche Watch 2003: "much like your earth"
Sun Apr 20 2003 22:16: Some more pictures from England: as part of her drama class, Rachel did a performance at the rebuilt Globe Theater. It's pretty tacky, but I suppose it was tacky originally. Originally it did not have the theme-restaurant title of "Shakespeare's Globe", though. Here's my favorite picture of the set. He now has a weblog. Still, Mike Godwin is not someone who exaggerates the seriousness of a situation. Slashdot does, though! He sent me and Kevin a link to reviews of a hot sauce written by people who have not yet recovered from the hot sauce. I WANT TO SEE THE PEOPLE IN PERSON WHO SAY THIS IS NOT HOT I WANT TO SEE THEM BURST INTO FLAMES AS THEY LIE ABOUT THIS VOLCANO EXTRACT IN A BOTTLE. I envision Muhammed Saeed al-Sahaf saying that about some wimpy Tabasco. Tue Apr 22 2003 23:14 Static, Electric: Not a bad evening's work: I added a framework to NewsBruiser for writing static files containing entries and sets of entries. The result is that this most-recent-25 items comes from a file instead of a CGI call, as does any one random entry. Much faster. It's not usable unless you're a Python hacker, but it's in there and I'm using it. With the proper care, NewsBruiser can now be as aggravating as Movable Type and Blogger! Next up: adding writers for the RSS feeds. Wed Apr 23 2003 19:02 Tinnedbeefeaters: From Sumana, a job opening at Buckingham Palace. Thu Apr 24 2003 14:08: Jason sent me a link to Programmers And Problems, a pedagogical card game developed by one of his colleagues to teach software engineering practices to college students. If you like games that nip the escapism aspect right in the bud, this one is for you. You play a project manager trying to get a software project developed. Will you go for broke, forgoing design and working your employees 16-hour days? Or will you carefully gather requirements, plan, and document, then realize that it's 5PM and make your employees work another 8 hours actually writing the code? Will you devote valuable time to code inspection, or leave all bugs unrevealed until the final showdown with the client? With Programmers And Problems, the schedule is yours to beat! My main beef: the structure of the game forces you to use the waterfall development methodology. It would be interesting to develop an XP variant in which programmers interacted more with each other, etc. PS: PAP is the second game I know of in which feature creep is a bogeyman. Fri Apr 25 2003 14:59 Wish I Were Here: On the road to Bakersfield, in an I-5 restaurant called The Apricot Tree which I've long intended to try out but have kept putting it off. I'm going down to meet Susanna's fiance. The food here is okay; the decor, kitschy. I can't say how the apricot pie is, because it turns out I don't like apricot pie. Fri Apr 25 2003 22:20: You know what would be cool would be a way of specifying multiple links for a single <a> tag. You would do this in a way similar to the way you put a <link rel="foo" href="..."> in a HEAD tag. (It would probably go inside the main <a>). Browsers would implement this by, for instance, putting the alternate links in the menu that shows up when you right-click a link. Among other things, I would use this to give myself a link to the entry edit functionality in a NewsBruiser permalink. Also gave a bunch of old stuff I don't need to the Salvation Army. It's Get Rid Of Stuff Daze here at Leonard's house, because I might be moving soon. More as the situation develops. Sun Apr 27 2003 16:08 In Bed: My fortune cookie said, "You have a kind heart and are well admired." I am Gamera! i was very, very well read in my youth, before i forgot everything. all of that reading did not prevent me from trading 10 or so ratty paperback editions for one fine hardbound, sewn-in-signatures, best translation/commentary extant version of a personal favorite, over and over again. i was ruthless and systematic. the result is that i have a personal library reflecting well below 10% of the harder books i've read, mostly in immaculate editions that quite naturally show no sign of use. the ones i chose to get the immortal versions of tended to be the ones that spoke most to me at the time. i wish i had the scribbled-up profusion around to remind me of important things from time to time, now that i'm older. I'm noticing the same sort of thing, except that I buy good copies of things, new or used, at random intervals, and the rest of my library is distilled at intervals from a large number of cheap paperbacks to a smaller number of different but equally cheap paperbacks. Most of the stuff I want to keep is well-known and public domain, hence already on the web, and I'm not sentimental about paper, so it can go. Exceptions for particular authors I'm collecting, like Chesterton, and my awesome hardcover copy of Extraordinary Popular Delusions and the Madness of Crowds, which is available Gutenberg-style but which I hang on to with the slim justification that there are woodcuts not reproduced in the ASCII edition. I've barely played with Mozilla's XLink support, preferring to waste this evening writing a syndication feed file writer for NewsBruiser, but the functionality covered by Mozilla's single test case didn't fill me with confidence. Here's an article on XLink which I find only slightly opaque. Perhaps there's hope for me yet; it took me years to comprehend XML, but once I finally figured out the left angle bracket, the right angle bracket was easy. I'm investigating Python templating systems for use in NewsBruiser. TTM! 's functional approach is good for user-entered templates that fit into predefined control flow, but I'm looking to start doing the screens with templates, and it's no good for that. By my side-of-the-envelope calculation, there are more Python templating systems than there are Rocks 'n' Diamonds levels. I've skimmed some web pages and tried to get a few of them to work, so I am now an expert on Python templating systems, at least as regards whether or not I can use them in NewsBruiser. Here are my showstoppers for any module I might want to incorporate into NewsBruiser. The first two are born of my design goal of making NewsBruiser work for anyone whose hosting service has Python available and who can unzip a tarball. The last one is due to the unfortunate reality of software licensing. I've looked at the template systems with these showstoppers in mind, which means that often I'll simply dismiss a possibly deserving module without really looking at it; this is not a reflection on the module. Cheetah: Beautiful Velocity-like syntax. Seems written for Python 2.2 from beginning to end, unfortunately, and it's a lot of code. Otherwise I would definitely use this. Zebra: XML-based. Somewhat language-independent, which is a cool idea. GPLed, so I can't use it. PSP I couldn't get to work. XIST looks like a good idea but is Python 2. Yet Another Python Templating Utility works, but I really don't like its template format. XYAPTU is much better-looking, but contains a 2.2ism which I can't get rid of. If I could make it 1.5-compatible, XYAPTU would be a contender; stay tuned. PyMeld has some of the control flow logic in Python, but not as much as template (see below). It's 2.2-only, though. Wasp is a whole web framework, and the syntax is acceptable, but again: Python 2.
template has all the control flow logic in Python rather than in the template, which I don't like, but I don't see any reason why it wouldn't do the job. AHTS has a slightly awkward API, and the examples don't work as is, but otherwise seems to work. It looks like it only accepts variable substitution by name, though. tinpy took just a little work to get working in 1.5. It has a ?SP-like syntax, which is okay, but you can't access members or make method calls from within templates; it has to be variable references, dictionary lookups, etc. Otherwise, I think this is the best one for me. So, unless I find something else that's better (do you know of any? ), or I can get XYAPTU to work, I'm probably going to hack up AHTS or tinpy to fit my needs. Tue Apr 29 2003 22:49 Speaking Of Templates: Amazon has a thing called "The Page You Made" where they show me stuff I've been looking at on Amazon, and other stuff that's related to that stuff in the unimaginative way Amazon thinks things are related to other things (ie. by being by the same person). This is fine, except for the tiny fact that I didn't make that page! It's a lie! I never made that page! My antifingerprints are all over it! Had I actually made that page, it would have fewer graphics and those graphics present would be of dinosaurs. It would also have more random stuff on it. I wouldn't mind so much, except that I have photographic evidence that Amazon is showing this same page to everyone, and trying to pawn it off as my work. For shame! Wed Apr 30 2003 18:41 Suffertime: I forgot to mention that another thing I don't like about template systems is when they add whitespace to my template as they interpolate it. I'm going to be using this templating system to generate RSS 3.0 feeds and other things that care about whitespace. I finally got XYAPTU to work in 1.5, but it introduces blank lines and extra spaces all over the place until I can't stand up. Bleah. Still hacking. Update: Got it to work. Wed Apr 30 2003 22:34: Sumana showed me a funny Cat and Girl. I laughed! I cried laughed! [I cried! -Ed.] Stop it!